The 9th Annual Construction Science Expo is introducing Detroit middle and high school students to the construction and engineering industry through a day of hands-on and interactive exploratory experiences and conversations. The event was founded in 2011 in partnership with the Black Caucus Foundation, MITA, ACEC and the Operating Engineers 324 and was established to inform kids that being a skilled laborer remains a highly-valued profession. Overall, the Construction Science Expo has touched more than 8,000 kids through the years and has even helped provide job opportunities to those who are highly motivated and want to get their careers started right away. 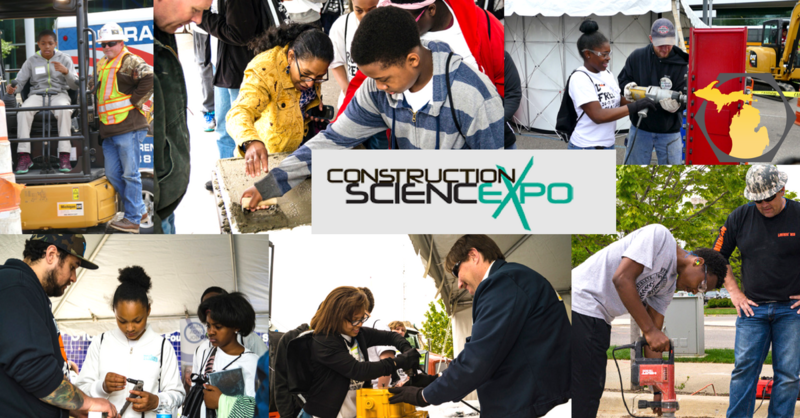 Detroit middle & high school students will experience one of the best school field trips of the year: The 8th annual Construction Science Expo ! Working alongside skilled labor apprentices and trainers and using their problem-solving strategies in construction design, they should visually and physically see why these types of occupations in this industry are growing faster than all others at a rate which is expected to continue through 2026*. We Want You … to Join Us for Michigan Construction Career Days! The construction industry in Michigan is growing as more and more young people realize how many really great career opportunities can be had in designing, building, and rebuilding our state. 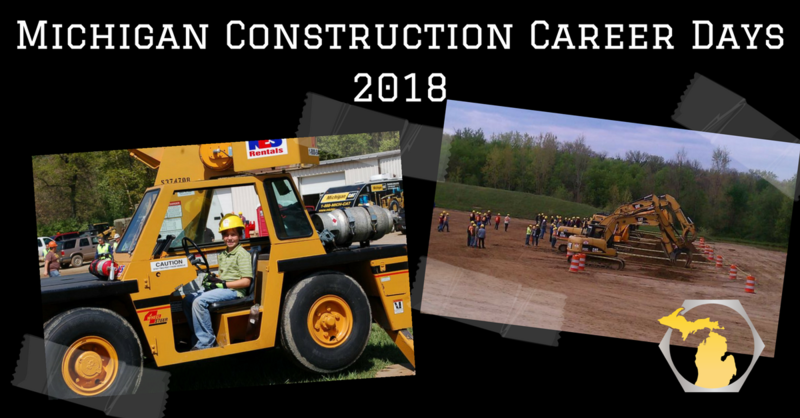 To help better inform students about the possibilities in construction, Michigan Construction and the Michigan Apprenticeship Steering Committee, Inc. (MASCI), are sponsoring Michigan Construction Career Days, May 3-4, 2018, for all students in grades 7-12, at the Operating Engineers 324 Training & Education Center in Howell.